Guaranteed to make a stunning impact wherever it is placed, Piper’s 6 Light Chandelier oozes modern opulence with its array of sparkling orbs twinkling like stars beneath a sky of contrasting metal and glass bars. The contemporary composition and linear detail catches and reflects light even whilst switched off. 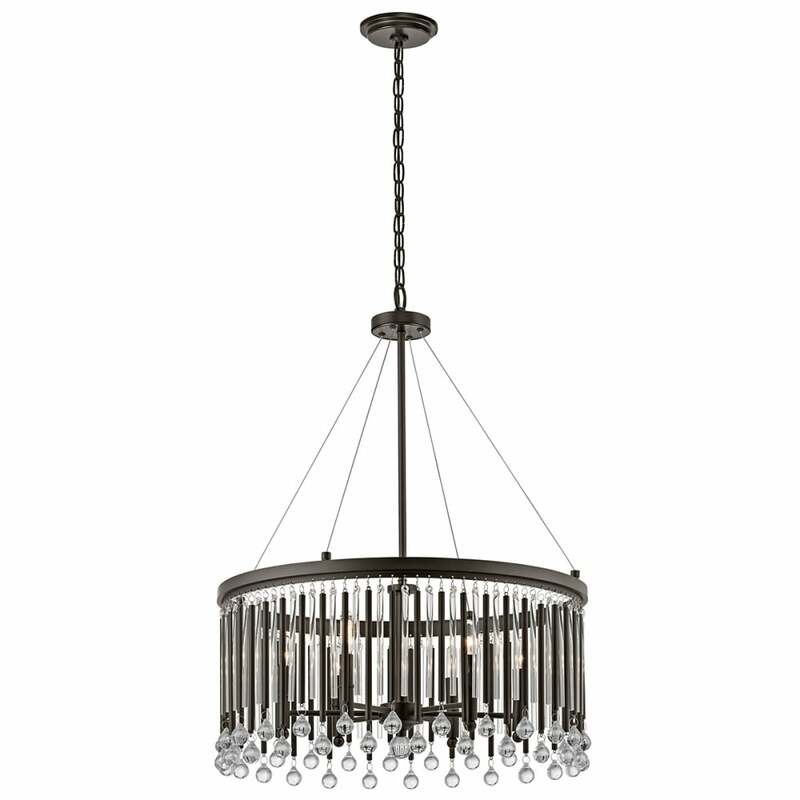 Matching styles are available such as the 6 light Island Chandelier and the amazing 5-tier version – all finished in Espresso. View All Kichler for more information on Piper or view the complete Piper Collection.